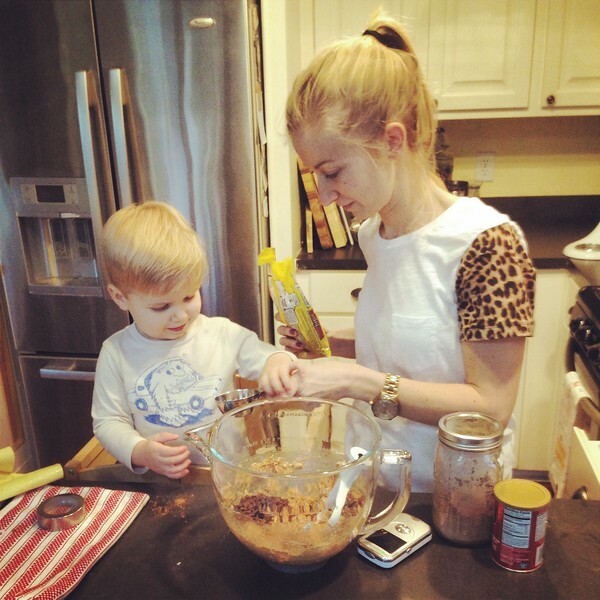 The other day, I invited Turner into the kitchen to help me bake his favorite cookies. Here’s the original recipe, although I’ve made a few changes over time. I’ll put an updated recipe below so you can be the judge of which is better! Usually, Turner drags his kitchen helper into the kitchen to play in the sink or play with dried beans (he likes to fill different size containers with the beans). But this time, it was to bake! He was loving it. 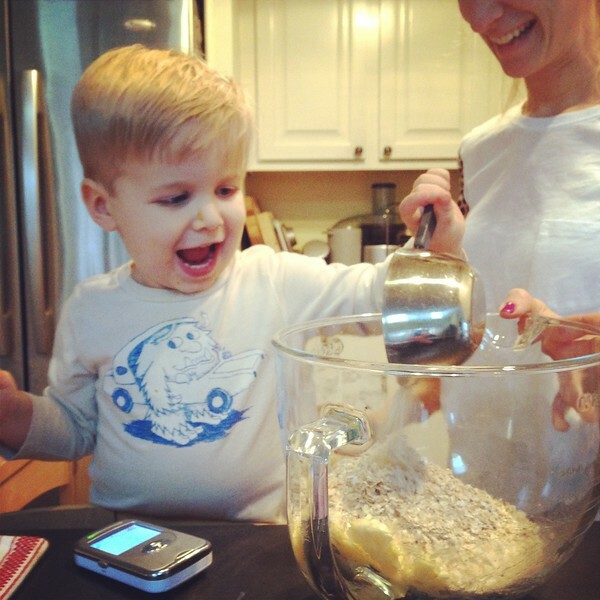 I’ve been dreaming of the day I’d have my own little munchkin to cook and bake with me! I really love this age. Turner is so much fun! He’s my little buddy. We do everything together. He’s turning into such a big boy right before my eyes! He is such a munchkin!! You have a winner there! Hugs to you! Love it!!!! 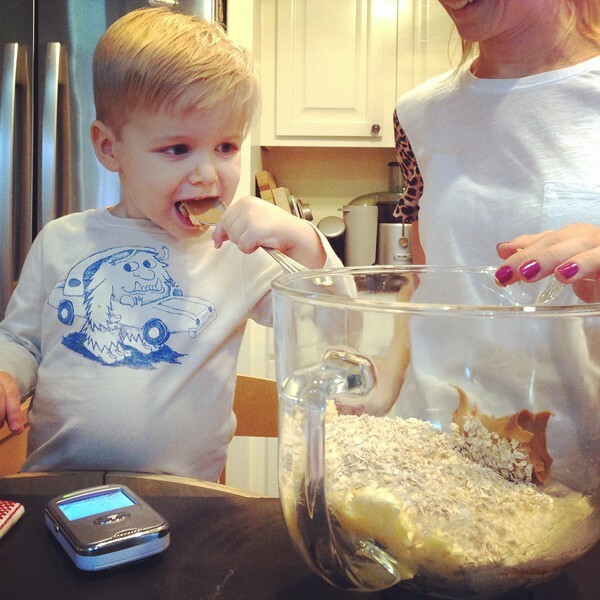 Reminds me of the days we spent (and still do) in the kitchen baking….lots of good times with that sweet little guy. He looks like he is having a blast!! Previous PostPrevious What a Week!